In a new video for the Human Rights Campaign, the Florida Republican urges parents to accept their transgender children. A Republican congresswoman from southern Florida might seem an unlikely candidate to be the face of a new campaign advocating parental acceptance of trans youth. 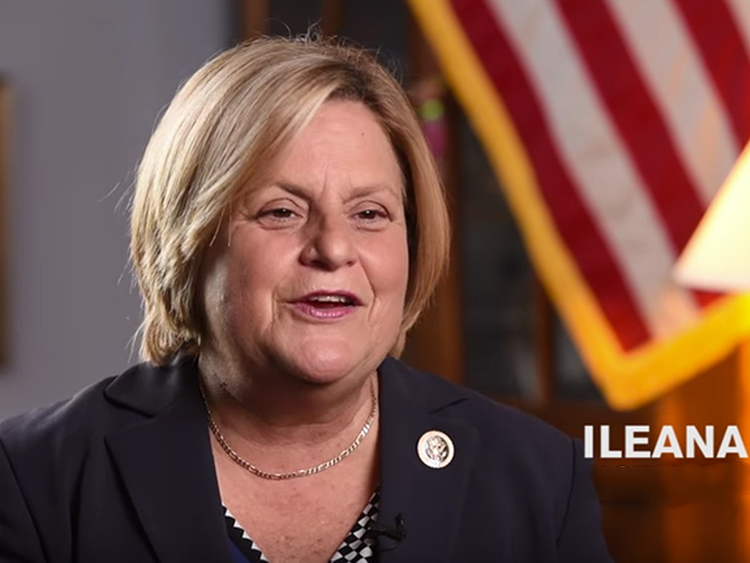 But that's the role Florida Rep. Ileana Ros-Lehtinen has stepped into, with a video released today as part of the Human Rights Campaign's Moms for Trans Equality project. “I’m a congresswoman from South Florida and Dexter and I have been married for 34 years and we have two children together, Rodrigo and Patricia,” says Lehtinen, the senior-most Republican representing Florida in Washington, D.C. The 10-term congresswoman’s son, Rodrigo Heng-Lehtinen, is trans, and an LGBT advocate in his own right, currently serving as the membership manager for GLAAD. In the video, Ros-Lehtinen speaks directly to the camera about the challenges many trans people face, including high rates of suicide, harassment, and persistent, widespread discrimination in numerous areas, from employment to health care. In voiceovers interspersed with candid photos of her husband and children in and out of the capitol building, Ros-Lehtinen speaks of wanting her son to be safe in a world that is still evolving towards trans acceptance. The Congresswoman has a long history of reaching across the aisle and breaking down barriers in her own career. When she joined congress 27 years ago, Ros-Lehtinen became the first Cuban-American and Latina to take office. In addition to her consistently committed LGBT advocacy (she recieved a perfect score on HRC's latest congressional scorecard for LGBT-supportive elected officials), she has served as the chairwoman of the House Foreign Affairs Committee. She was the first Republican member of congress to co-sponsor a bill to repeal the federal Defense of Marriage Act, and last year she joined with California Democratic Rep. Adam Schiff to introduce a bill that would prohibit counselors at so-called boot camps from engaging in efforts to try to change a camper’s sexual orientation or gender identity. The video is one of several vivid, heartwarming first-person testimonials for HRC's new project, which also includes richly composed explanatory commentary on HRC’s website. The project offers a window into the powerful, positive impact that a mother's support can have on the life of her trans child. Emerging research shows that trans and gender-nonconforming youth who have supportive parents are less likely to experience the negative health outcomes, including poverty, struggles with depression, suicide, substance abuse, that are so common among their peers who do not come from supportive homes.